These days, everybody wants the latest killer app for successful ministry. But ministry is not plug-and-play technology. It is an art cultivated over a long-term journey of faithfulness and perseverance. 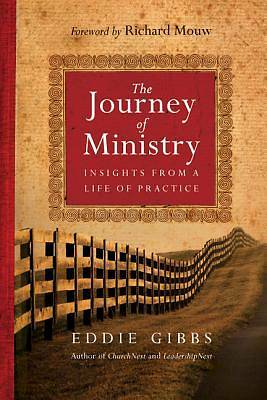 In his most intimate book yet, Eddie Gibbs articulates a personal philosophy of ministry born from his storied career in teaching and pastoral ministry. Through images from his own life and family, Gibbs shows how effective ministry is a matter of walking slowly with the family of God, overcoming hurdles and facing challenges together. He explains how the early church offers helpful networking models for connecting in a fragmented technological age. Linking fresh biblical exposition with our contemporary realities, Gibbs gives practical advice for welcoming people into the family and helping them live out God's intentions for them. If you want your ministry to last, learn from those who have gone the distance. Discover here insights that will help you lead and serve for the long haul.